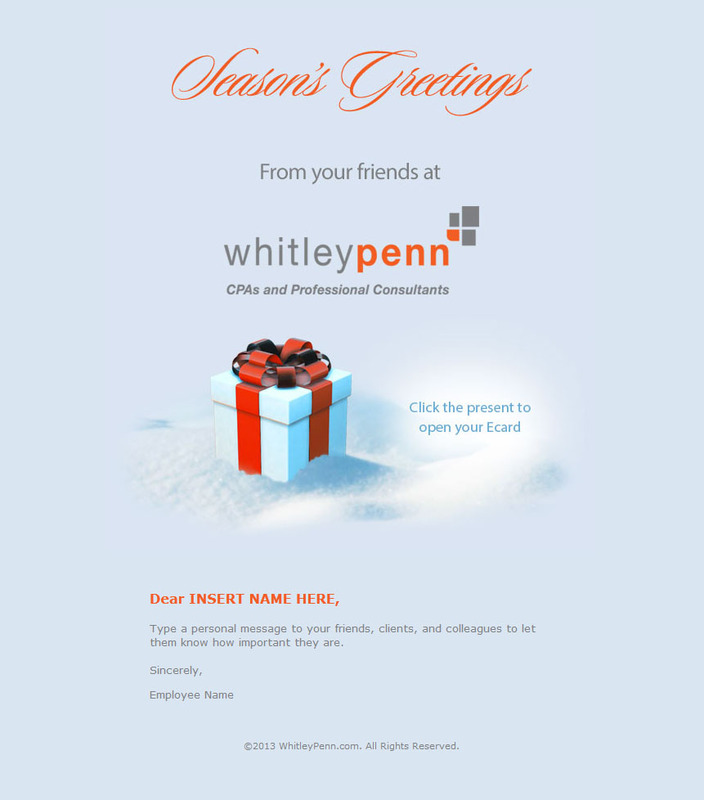 Whitley Penn is one of the top accounting firms in the nation. 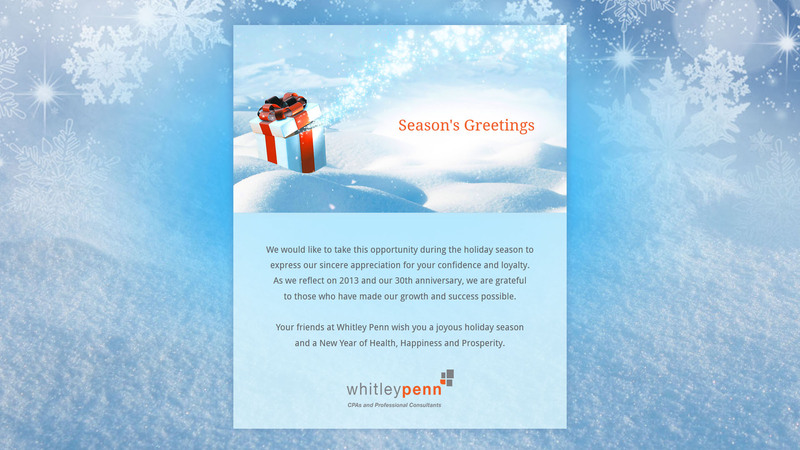 We helped them create a beautiful and sophisticated holiday ecard that they sent to their clients. We made a simple but elegant animation that compliments the company’s image.